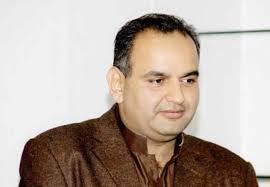 ISLAMABAD, May 19, (APP): Member National Assembly (MNA) of PML-N, Dr. Ramesh Kumar Thursday hoped that the consensus on accountability system would be developed soon like all political stakeholders agreed on elections reforms. Talking to newsmen outside the Parliament House, he said the politicians who were hurling allegations against his party leadership were found involved in Panama scandal. Those people, he was of the view that now wanted to run from their accountability.